Artists from Shanghai Pingtan Troupe stage a storytelling performance about waste classification for citizens in Xuhui District on Monday. A campaign to promote garbage sorting through heritage arts and public events was launched in Xuhui District on Monday. A total of 21 events targeting local residents, white-collar workers, construction personnel and teenagers will be held through the end of June. The campaign aims to promote waste classification before the implementation of the city's first trash-sorting regulations in July. 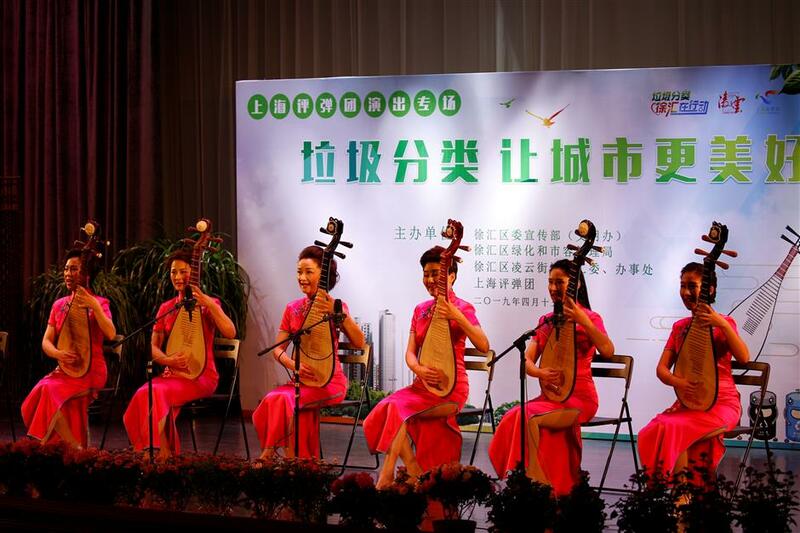 The first event was held at the Meilong Culture Center on Monday. 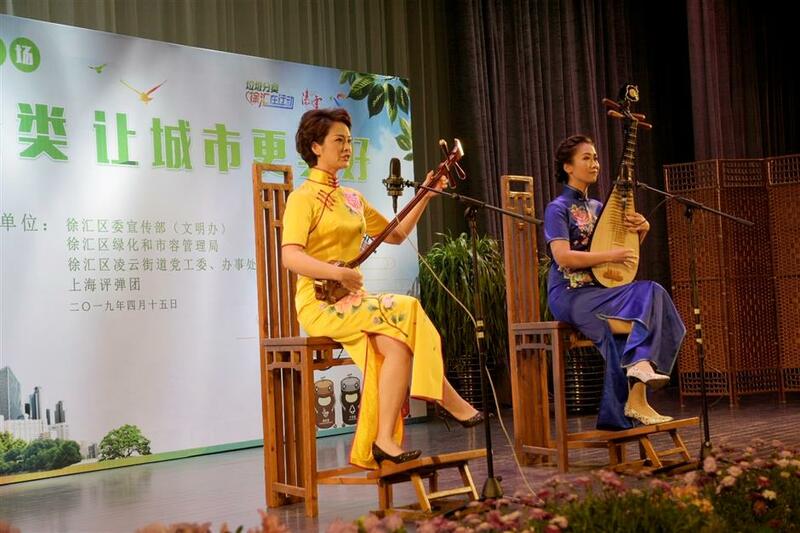 Traditional pingtan (storytelling to music) performances, a national heritage popular in the Yangtze River Delta region, promoted waste sorting. 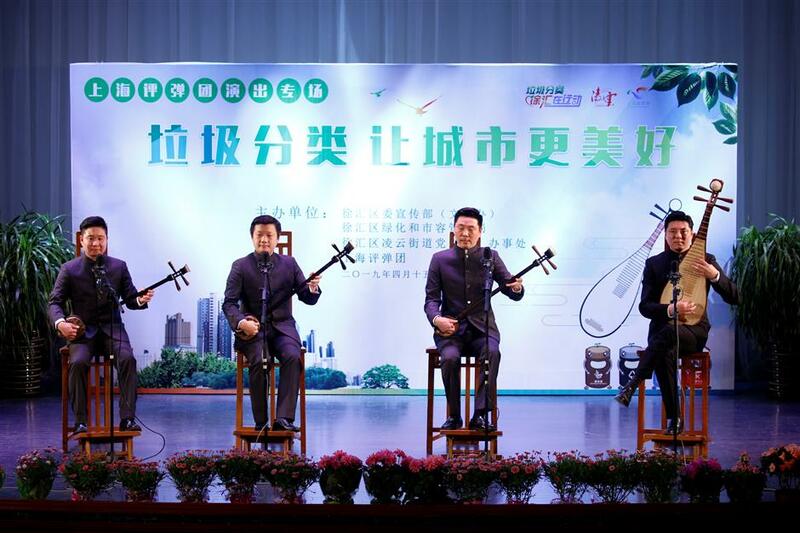 Artists from the Shanghai Pingtan Troupe presented five performances composed for the promotion to more than 400 residents in Xuhui. "The performance is the first leg of a citywide tour to teach audiences how to properly classify waste and highlight the importance of the green habit," said Gao Bowen, director of the troupe. More events have been planned for the popular Xujiahui shopping complex, the Shanghai South Railway Station as well as the Xuhui waterfront along the Huangpu River, known as the West Bund. Public lectures will be held among downtown communities and campuses. Construction workers will be invited to take part in a carnival themed on waste sorting. An orienteering game has also been planned for employees at the Caohejing High-Technology Park, according to the Xuhui government.